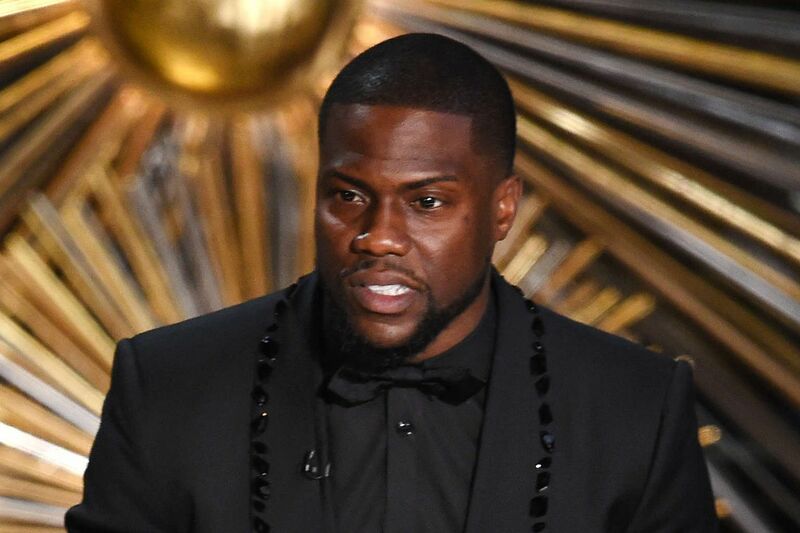 going to be too busy, even for Kevin Hart? The Philadelphia native, who seems to make more films than a major studio, is in talks with The Weinstein Company to star with Bryan Cranston (Trumbo, Breaking Bad) in a remake of the French hit The Intouchables. How about Hart in a spoof of Breaking Bad as Walter Black? Deadline.com also reports that Paul Feig (director of Bridesmaids and the new Ghostbusters) has written a version of the script. The original Intouchables, which starred Omar Sy and Francois Cluzet, was a colossal hit overseas, taking in more than $400 million, but did only $10 million in the United States and has been long discussed as a remake vehicle. Hart next will be seen in Central Intelligence opposite Dwayne Johnson and heard in the animated The Secret Life of Pets. Next up for Cranston is Wakefield and The Infiltrator, directed by Lafayette Hill native Brad Furman (The Lincoln Lawyer). A plethora of drunk videos on the Internet may have whet the appetite of viewers for a new MTV2 series, "Binge Thinking." The show, which fittingly premieres on April Fools' Day, brings hosts Mac Lethal and Amber Diamond to different cities where they ask various boozers questions to see how smart they are when they're plastered. Why do we care? Aside from offering a possible explanation for the Donald Trump phenomenon, the first episode is set here in Philadelphia - in Fishtown and Old City. * MTV is looking to goose the ratings of Real World by returning to Philadelphia to find new cast members. If you think you have what it takes to become MTV's latest "star" - an oversize personality, a bit of exhibitionism and a minimal amount of shame - an open casting call is scheduled April 9 from 10 a.m to 5 p.m. at Paddy Whack's Irish Pub, 150 South St. (off 2nd). The show says it's looking for "surprising and unusual life stories that have yet to be told on television." If you have one of those or just want to be sorta-famous, bring a recent picture of yourself (which will not be returned) and photo ID. You must be at least 21 years old by June 2016 and you must look like you're between the ages of 20 and 24. The "One Night Only Bad Boy Family Reunion" concert will take place at the Barclays Center in Brooklyn, on May 20. It's a day before what would have been B.I.G. 's 44th birthday. Notorious B.I.G., who was from Brooklyn, died in 1997 at 24. He released multiplatinum albums and hit singles like "Hypnotize" and "One More Chance" on Combs' Bad Boy imprint. Others from that roster will perform at the upcoming concert, including Mase, 112, The Lox, Total, Mario Winans and current signee French Montana. Tickets go on sale Saturday. * Emmy- and Oscar-winner Aaron Sorkin is bringing a live presentation of his drama A Few Good Men to NBC next year, the network announced Wednesday. Sorkin, whose resume includes NBC's The West Wing and his Oscar-winning screenplay for The Social Network, will adapt and produce A Few Good Men, which premiered on Broadway in 1989 and three years later became a hit film starring Tom Cruise and Jack Nicholson. Set in 1986, the story centers on a military lawyer who is asked to defend three Marines on trial for murder. Sorkin will write the teleplay and executive produce along with Craig Zadan and Neil Meron, who have jointly produced NBC's slate of recent live musicals. Why doesn't Tattle believe this?